This is the dog that everyone has fallen in love with and it's easy to understand why. Champ is a less than one year old Bulldog mix, with a huge melon of a head, a tail that won't stop wagging and a personality that will steal your heart. If that's not enough, he loves other dogs and he appears to have had some training. 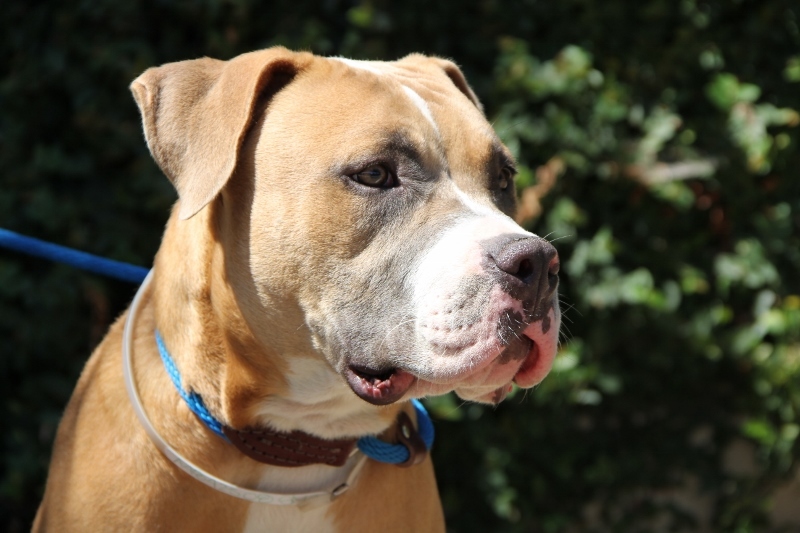 Champ would be a great starter dog for an active family. Champ was one of our pre-4th of July rescues, so luck is on his side. Now, wouldn't you just love to have this wiggly wonder by your side?